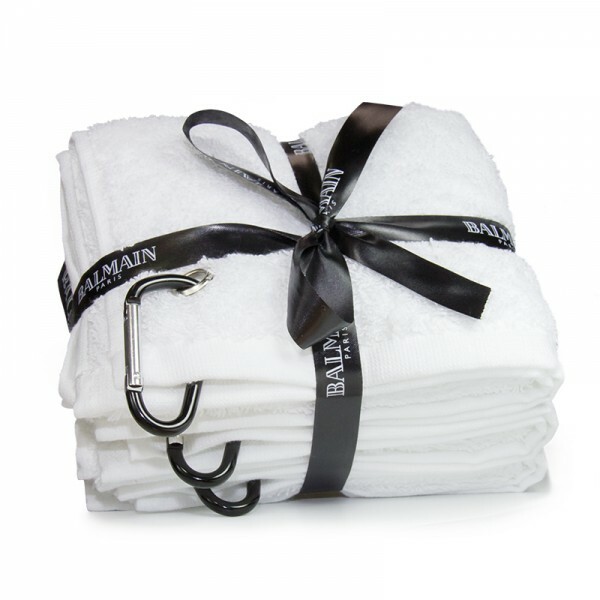 The small-sized Session Towel is specially designed for session stylists. The Session Towel is made of 100% cotton and perfect to store styling tools on or clean your hands with while working. Features a golden ring with metal buckle to fasten the towel onto a Backstage Tool Belt, Backstage Bag Large or Backstage Bag Small.